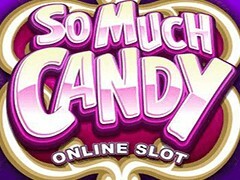 With so many games available, few online pokies can claim to have unique features any more, but So Much Candy, from Microgaming, manages to squeeze in a fun and rewarding Split Symbol feature that’s only shared with a couple of games in the same range, like So Many Monsters. This feature can lead to lines of 25 matching symbols across the 5 reels, but that’s not the only trick in its book, a there’s a free spins round that players can adapt to their own preferences, plus wild substitutions, scatter wins and lot of colourful sweets to make your mouth water. The bright colours extend across the game, with a backdrop of blues and purples behind the reels, which are framed with striped candies and even the control buttons are presented in the cartoon style that gives this game such a pleasing design. The number of paylines is fixed at 25, making the minimum wager per spin 0.25, although players can then adjust their bet up to a maximum of 100.00 a go. Winning combinations come from landing 3 or more of the same type of symbol across a line on adjacent reels running from the left side and a look at the paytable shows how much each symbol is worth. Like many pokies, the 10, J, Q, K and A make up the lesser values and to keep the theme going across the whole game they are all made to look like colourful sweets. Bigger wins come from the sweets themselves which come in various flavours and look tasty enough, plus there’s the bonus that here’s where the equally tasty Split Symbols come into play. When a sweet makes up a winning combination each individual symbol will split to give between 2 and 5 of the same type of sweet in each position, which can lead to a maximum of 25 matching sweets across a line. 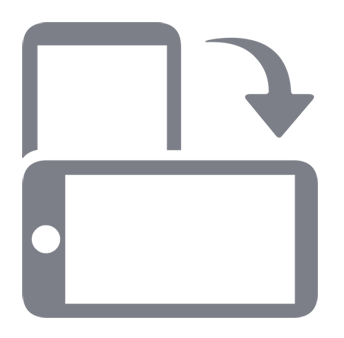 The paytable lists each potential win, which looks complicated to start with but as it’s an exciting and original feature that’s sure to prove popular. The number of split sweets is random and happens after a spin, giving players a chance to see their wins grow as more and more symbols cover the winning line. There’s other bonuses as well, starting with wild substitutions that come from the So Much Candy logo symbol, while the candy dispenser symbol is a scatter that awards prizes that are multiples of the total bet rather than just the bet per line and also starts a free spins game. Wins from the scatter range from 1x the stake when 2 of them land in any positions, up to 75x for players who get 5 on the reels at once. Before the spins commence, players are given the option of going for a lower number of spins with the potential for bigger rewards, or a higher number which have a smaller maximum jackpot. All they need to do is click on their chosen sweet from the 5 on display, with the stripy heart triggering 8 spins and a maximum possible win of 320,000 coins and at the other end picking the orange sweet will start 16 spins, but a maximum of 160,000 to win. Whichever option is taken, the chosen sweet will replace all other high value symbols during the spins, so there’s a better chance of picking up one of these big jackpot payouts. It’s unusual to see a pokie that has a unique feature and the developers at Microgaming should be congratulated for coming up with a new idea. It’s fun to watch as the sweets start to split into multiple examples and the value of the win rises as they do so, although it can take a little while to work out the paytable. Maybe it’s just best to try it out and see what happens. Even without the Split Symbols however, this is a quality pokie, as the free spins game with its customisation options is a further highlight. The only criticisms are really matters of opinion rather than real issues, as some players may find images of sweets, however colourful, to be a bit boring. But even these people can’t dismiss the quality of the features here, so they should give these sugary reels a spin and see for themselves just how rewarding they can be.